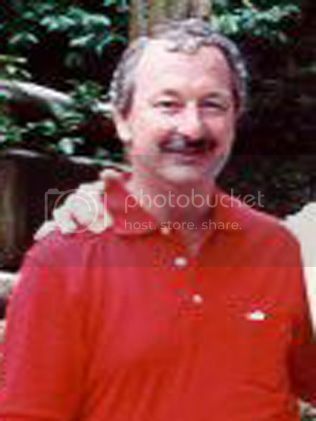 Police need your help to locate a 57yr old Perth businessman, who has been missing since 14th April 2003. Wayne DREWETT, was last seen by his wife on Monday 14th April, at the Rendezvous Observations City Hotel in Scarborough WA. He left the Hotel to attend a business meeting at his Kestrel Parade home address, and has not been seen since. His vehicle a 1992 Toyota Lexus Sedan Reg No 1AUS 069 was found abandoned at the Perth Domestic Airport . Drewetts disappearance is being treated as suspicious. He has missed several key appointments, including an Anzac Day Parade and a scheduled hospital operation. Mr Drewett was a former Special Air Services Regiment Administration Sergeant who served in Vietnam and was in good spirits last time he was seen. The family of a Perth businessman who disappeared during a million dollar diamond deal says he warned his brother about the dangers of such a lucrative transaction. Wayne Drewett, 57, from Ballajura, was last seen on April 15 at a Scarborough hotel. It is understood he left his wife at the hotel to buy more than $1 million in diamonds from an unknown source. Mr Drewett's beige car was later found abandoned at the Perth Airport. Police have now identified about 40 people from around Australia who invested their money in the diamond deal, but say they are reluctant to help with police inquiries. The missing man's brother, Garry Drewett, says his brother liked the high life. He had told his brother about the diamond deal before he disappeared. "His last words to us on the day about this, he said, 'well if everything goes right, then I'll see you', sounded too hair-brained for my way of thinking." Police have used sophisticated ground penetrating equipment to today search the backyard of a Perth businessman who is missing, feared dead. A Romanian national, Nick Stewart is wanted for questioning over the disappearance of Wayne Drewett five months ago. Police say Mr Stewart was the facilitator of a $1 million diamond deal which Mr Drewett was involved in. Mr Stewart left Australia about a week after Mr Drewett was last seen alive, and officers found a cache of illegal firearms after searching Mr Stewart's Perth home in June. Detective Senior Sergeant Glen Potter says it is understood his family reported him missing three weeks after he disappeared because of pressure from investors in the diamond deal. "We have spoken to all the investors that we're aware of," he said. "It is clear that the prime motive for not reporting this straight up was their hope that the deal would go through so that they wouldn't personally lose their money and ... gain the profit that they hoped to get." One of WA's most intriguing murder mysteries is set to come under the microscope of State Coroner Alastair Hope in a move aimed at allowing the victim's wife to move on with her life. Wayne Drewett was 57 when he disappeared in 2003 during a getaway with his wife Joyce at Scarborough's Observation City Hotel. At the time he was working on a $1 million black market diamond deal and Mrs Drewett thought little of it when he left the hotel on business on April 14. But he did not return and, in the days and weeks which followed, she received several visits from strangers who tried to convince her that her husband was safe. It was almost three weeks before she reported him missing and, by that time, his car had been dumped at Perth Airport, his bank account cleared and his passport taken. Police believe Romanian-born Nick Stuart, aka Niculae Stoian, was the mastermind behind the diamond deal, which saw investors lured in with the promise of big tax-free profits. But Mr Stuart had also disappeared. Mrs Drewett refused to comment when contacted by _The Weekend West, _but still lives in the Ballajura house she bought with Mr Drewett in 1990. Because the couple were "joint tenants", Mrs Drewett would become sole owner of the house if Mr Drewett died. She has been left in legal limbo since he disappeared and it is understood she plans to sell the property if the Coroner finds her husband is dead. The inquest, scheduled for September, is expected to focus on the diamond deal and the activities of Mr Stuart. Police had tracked Mr Stuart to Bucharest and enlisted the help of Romanian police to find him. But relations with the local authorities broke down in about 2004. Mr Stuart was convicted in Perth in 1993 of carrying an abduction kit. Police found a dossier on the family of Alan Bond which suggested he was planning to abduct one of them. Oct. 5, 2012, 2 a.m. The wife of a wanted Romanian man has denied any knowledge of her husband's business dealings, guns or secret rooms beneath their home. Romanian born Delia Stuart struggled to give evidence at a coronial inquest exploring what happened nearly 10 years ago when Perth businessman Wayne Drewett mysteriously disappeared and her husband, Nick Stuart, left Australia. She blamed poor memory and bad english for being unable to answer many questions about the extent of her knowledge of her husband's dealings with Mr Drewett or the suspicious items found around the home they shared. Mr Drewett was last seen by his wife, Joyce, leaving her room at the Observation City Hotel to make arrangements for a diamond deal linked to Nick Stuart on April 14, 2003. Mr Stuart was also known as Niculae Stoian and was wanted by Romanian Police in connection with a diamond deal in 1996 and the disappearance of a man in possession of $300,000, the court heard this week. A group of Mr Drewett's investors convinced his wife not to report him missing for almost three weeks after he vanished. Mr Drewett's car was later found parked outside of the CCTV camera area at the Perth Domestic terminal. Police also discovered his computer hard drive was missing, as was a pair of Mr Drewett's pyjamas. On the day of Mr Drewett's disappearance Mr Stuart had withdrawn $10,000 in cash from a safety deposit box at Bankwest. He also accessed a second box rented under his name. Mr Drewett had a safety deposit box next to Mr Stuart's at Bankwest. Around the time he met Mr Drewett, Mr Stuart had been looking for somebody to secure investors for an Eastern European diamond deal, the court heard. The pair were friends who had on at least one occasion discussed investment opportunities, Mrs Stuart told the court. Mr Drewett appeared to have found investors for a diamond deal in February 2003, the court heard. At the same time Terrance Gardiner who worked as a book keeper for Mr Stuart - the pair met in prison - told the inquest he was terrified of Mr Stuart and had handled large sums of money for the Stuarts after Mr Stuart left the country. Mr Gardiner told the court Mrs Stuart gave him an envelope containing $30,000 which he posted in parcels to Romania, shortly after Mr Stuart had left the country. He said Mrs Stuart then asked him to pick up a parcel from a friend's house and hold on to it. After opening the parcel he said he was "scared" to discover as much as $300,000 in Australian dollars, which he then kept in a plastic bag in his garage, nestled behind some golf clubs. "It scared the living hell out of me," he said, denying any knowledge of where it had come from. He claimed he dropped $100,000 off at a house owned by a friend of Mrs Stuart's at her request, before eventually handing at least $100,000 in to police. Mrs Stuart denied receiving cash from Mr Gardiner. She said although she did give him an envelope her husband had told her to pass on she never opened it and did not know what was inside. She also denies asking Mr Gardiner for any money. Mr Gardiner yesterday told the court Mr Stuart had also shown him a hole underneath his tool shed floor, which lead to two hidden rooms - one containing a single bed. Mr Stuart said her husband had never spoken to her about diamonds or his other business dealings and claimed she did not know why he had a diamond checking tool at their home. "He speak with me, but not financial," she said. "He never talk to me in what business he was involved." She also denied any knowledge of the rooms underneath the shed but said her husband would get angry if she went near his office or the tool shed. "He doesn’t like me to go in there - he was upset even when I try to do some dusting," she said. Mr Stuart left Australia for Romania on April 23, 2003 and is still wanted for questioning by the Romanian authorities. He had tried unsuccessfully to have two large boxes filled with cash shipped to Romania prior to his departure, the court heard. The freight companies had returned the boxes to Mr Stuart after discovering the cash and it is not known what happened to it next. Mrs Stuart, who met her husband in Bucharest in the late 80s, said she could not remember much of what happened around his departure. She said she had spent three months in a "mental hospital" after he left and her memory had been affected by antidepressants. Although bank slips show she accessed the safety deposit box she shared with her husband on several occasion - once with him - she claims she only used it to store jewellery. She denied having any contact with him aside from one phone call in the years since he left. But she never reported him missing when he failed to return after six months, which he intended to spend caring for this sick mother, she told the court. The inquest is expected to finish today. The police officer who investigated the disappearance of Perth businessman Wayne Drewett nearly 10 years ago believes he was killed for more than $800,000 in cash raised to buy Eastern European diamonds that, unbeknownst to the beloved family man, probably never existed. 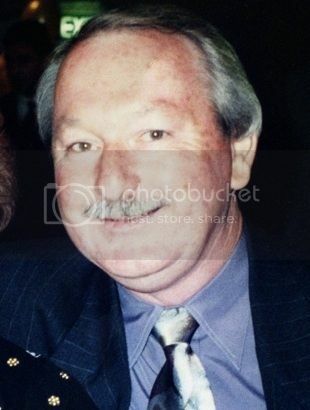 Speaking at the inquest into what happened to Mr Drewett, who disappeared in April 2003, senior sergeant Glen Potter said police believed Romanian-born Nick Stuart alias Niculae Stoian, was the likely "facilitator" of an elaborate diamond scam the Perth grandfather had fallen into. Police believe Mr Drewett had obtained more than $800,000 in cash for the diamond deal, which they suspect had been moved from Mr Drewett's safety deposit box at Bankwest on St Georges Terrace into an identical box next to owned by Mr Stuart. The only evidence Police have regarding the cash was the proximity of the two boxes, suspicious dates that had been accessed and testimony from a Bankwest employee who said she saw the front of Mr Drewett's box was stuffed with hundred dollar notes on April 11, 2003. There was also the testimony of Mr Drewett's potential investors who said he was raising the money on behalf of a facilitator who he promised could resell the diamonds onto buyers at a great profit. Although the employee saw the cash in April, when police searched Mr Drewett's box in May they found nothing. The last time Mr Drewett's wife Joyce saw her husband was on April 14 at the Observation City Hotel, where they had rented a room. He had told her he intended to buy a mustang and the pair had fought, the court heard. He left saying he had more work to do on the diamond deal. At 12.43pm the same day he withdrew $10,000 and opened a second safety deposit box, which police believe was the intended location for the proceeds of the diamond sale. But he vanished before it could be used. "Wayne Drewett actually believed there was a diamond deal afoot," Snr Sgt Potter told the inquest. "It’s the investigation's view that there probably wasn’t any diamonds." When Mrs Drewett returned to the home she shared with her husband she discovered the backdoor was unlocked and uncharacteristically for her husband appliances had been left around the house. But she did not report him missing for another couple of weeks because a group of his investors pressured her not to insisting everything was fine, Snr Sgt Potter told the court. Snt Sgt Potter said police would likely have been in a much better position to find Mr Drewett if they had not been three weeks behind his disappearance. "The possibilities would have been endless," he said. "We would have had Nick Stuart in the country, we would have known about the diamond deal." Mr Drewett was last heard from on April 15. By April 23 Mr Stuart had sold his car and equipment from a brick paving business he owned and flown back to Romania, a country that does not share extradition agreements with Australia. Police had eventually discovered two burn phones registered by Mr Drewett under fake names, which were only used to call each other in the weeks before his disappearance, with one crucial exception that would lead them to Mr Stuart. A phone registered under Mr Stuart's name had called one of the phones, police believe by accident. When police looked into Mr Stuart they found he had spent three years in a WA prison for violence, dishonesty and guns offences. They later discovered Mr Stuart was also at the time wanted for questioning by Romanian authorities over the disappearance of another man linked to another diamond deal who had procured $300,000 from investors for the deal in which he was "the facilitator" in 1996. Between May and June several police searches of Mr Stuart's Marangaroo home involving ground penetrating radar revealed a hidden underground bunker made up of two rooms, one containing an arsenal of guns and ammunition, Snr Sgt Potter told the court. Terrance Gardiner, who used to work as a book keeper for Mr Stuart after the pair met in prison also told the inquest of the secret bunker describing one of the two rooms as containing only a single bed. Several books were also found in Mr Stuart's home including detailed guides for carrying out crimes, which notably included a book entitled 'Be Your Own Undertaker: How to dispose of a dead body'. Devices for testing diamonds were also located. "It confirmed to us that there was a likelihood that Mr Drewett had been killed," Snr Sgt Potter told the court. "This led us to believe that Mr Stuart had the knowledge and the capability to do it." He said although the Australian Federal Police and Romanian authorities had worked together to locate Mr Stuart in Bucharest – they had not been successful in returning him to Australia. Counsel assisting the coroner Kate Ellson in her closing submission yesterday advised the coroner that beyond a doubt Mr Drewett was dead. "There is a very real possibility that Mr Drewett was killed for the money he raised for a diamond deal," she said. Since April 15 Mr Drewett has never accessed any of his known bank accounts, email accounts, phones, or attempted to reclaim his car which was believed to have been dumped outside Perth airport, she said. There were also no Medicare records of him purchasing medication he needed for a serious heart condition. Speaking outside court Mr Drewett's daughter Debra said the family were relieved the inquest had moved ahead more than 9 years after he went missing, but were still looking for answers. "I don't think that will every go away until we have remains that we can put to rest," she said. "If anybody still has any information that might reveal where my husband's remains are that might give my family closure." Ms Drewett described her father was a "wonderful family man," who was "loved dearly". The coroner is expected to hand down his findings into Mr Drewett's possible death in December. Ms Drewett said the family wanted him finally declared dead. A CORONER has found a Romanian man was involved in the death of a Perth businessman who went missing more than nine years ago, along with $1 million in cash he had raised to import a cache of diamonds that didn't exist. WA coroner Peter Collins today found that "all roads'' led to the conclusion that Romanian-born Niculae Stoian, known as Nick Stuart, contributed to the death of grandfather Wayne Drewett, whose body has never been found. Mr Stuart left Australia days after Mr Drewett went missing in April 2003, with evidence given to the inquest hundreds of thousands of dollars in cash left with him. WA Police are set to contact their Romanian counterparts, and the coroner's report will be sent to the Director of Public Prosecutions for consideration. Mr Drewett's disappearance came after he became involved in a deal to import $1 million worth of diamonds into Australia, although police believe the gems never existed. He was last seen by his wife Joyce on April 14, 2003. He has not been heard from since a brief phone conversation the following day. His pyjamas, lap top and briefcase were later found to be missing from his house, along with keys to his safety deposit box. The inquest was told the Australian diamond deal bore all the hallmarks of previous scam in Romania in 1996 in which the financier disappeared and was presumed murdered. The man at the centre of that deal was Mr Stuart, the coroner said. He frequently talked to Mr Drewett on disguised mobile phones in the days before his disappearance. The coroner said on April 11, Mr Drewett's safety deposit box had been ``overflowing with cash'' intended for the diamond deal. Within a week, the cash was gone, as was any sign of Mr Drewett. Mr Stuart then told friends he needed to fly to Romania urgently because his mother was unwell, selling his car, and trying to send wads of cash to Romania in a cardboard box. Mr Stuart transferred $12,700 on his departure, declared a further $60,000 on exit from the country, and had a friend collect a bag containing between $100,000 and $200,000, which he later gave to police. Mr Collins said he had no doubt Mr Drewett was dead, and Mr Stuart was involved, but his cause of death must remain ``unascertainable''. "There is a substantial body of circumstantial evidence which points compellingly to the fact Mr Drewett has been the victim of foul play,'' the coroner said. Mr Drewett's daughter Debra hopes Mr Stuart will be found. A WA Coroner says he is satisfied that a man who disappeared after becoming involved in a black market diamond deal in Perth is dead. The Coroner, Peter Collins, investigated the suspected death of Wayne Drewett, 57, who vanished after helping raise $1 million for the deal in April 2003. Mr Collins said he was satisfied Mr Drewett died shortly after his disappearance, and that a man who facilitated the deal, Nick Stuart, was involved. Mr Stuart left Australia for Romania in the weeks after Mr Drewett's disappearance, and the Coroner found that he had access to large amounts of money. Senior Sergeant Glen Potter investigated Mr Drewett's disappearance. He says the case should serve as a warning to anyone considering getting involved in black market deals. "There's a quick fix, a quick buck in it, and the reality is they don't exist and a lot of pain is caused," he said. "And, in this case we've seen it by people trying to make money very quickly without asking the right questions." Mr Drewett's widow, Joyce, has welcomed the findings. "I'm glad that it's all over now," she said. "It's terrible to think that Wayne lost his life because of an investment, obviously he was used. "Other than that I'm just glad I finally might have some closure." His daughter, Debra Drewett, says she hopes that one day her family will find out exactly what happened. "Everyone needs to come forward with anything that they possibly have, no matter how little it is, it might be the missing link one day," she said. The Coroner has referred the matter to Western Australia's Director of Public Prosecutions.